48th annual custom car show held March 5-7 at the Donald E. Stephens Convention Center in Rosemont, Ill.
Rosemont, Ill. (February 2010) – The 48th Annual O’Reilly Auto Parts World of Wheels held March 5-7, 2010 at its new location, the Donald E. Stephens Convention Center (5555 N. River Road, Rosemont, Ill.), is positioned to be the largest show in the event’s long running history. This year’s show, presented by Denny Guest’s South Oak Dodge-Chrysler-Jeep and produced by Championship Auto Shows, Inc. hosts 500 of the country’s best custom and restored cars. The show is open 3 p.m. – 10:30 p.m. Friday, March 5; 10 a.m. – 10:30 p.m. Saturday, March 6; and 10 a.m. – 7 p.m. Sunday, March 7. Admission is $16 per person, $5 for children ages 6-12 and discount tickets can be purchased at any Chicago area O’Reilly Auto Parts retailer. 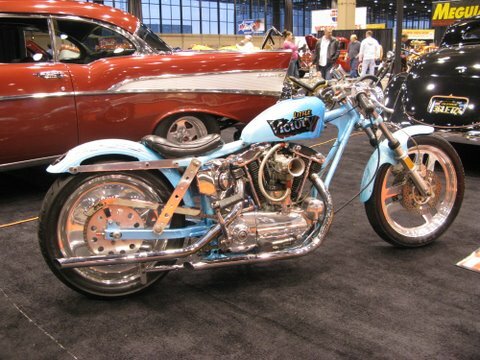 The move to the Donald E. Stephens Convention Center enables the show to continue to grow, having 550,000 square feet of exhibition space for its custom and restored cars, trucks and motorcycle exhibits. The show also has more features, vendors, displays and events, including a live charity auction and a lifestyle area with live entertainment, fashion shows and karaoke competitions. 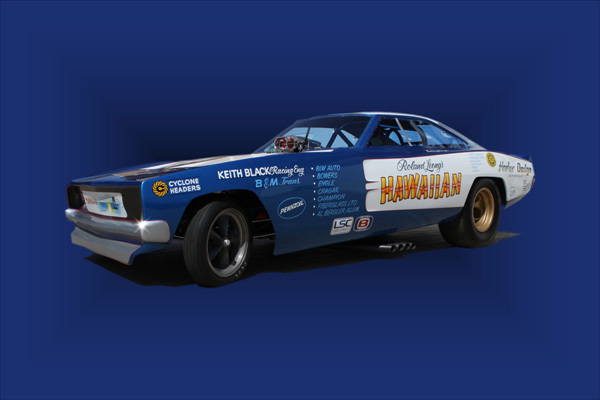 The O’Reilly Auto Parts World of Wheels is a weekend to remember with new features like Drag City USA, presenting a unique exhibit of nostalgic dragsters from The Don Garlits Museum of Drag Racing in Ocala, Fla. 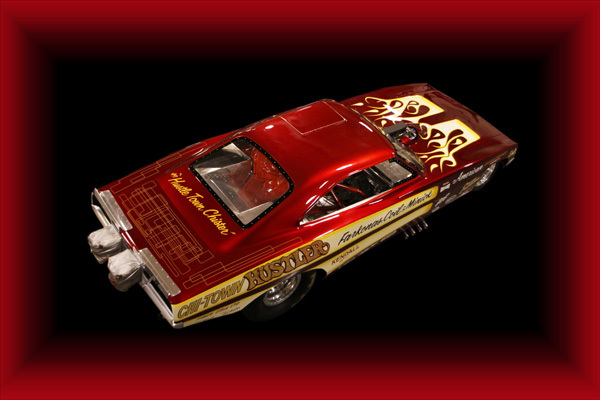 Among them are Garlits’ personal collection of “swamp rats,” Connie Kalitta’s “Bounty Hunter” and Don Prudhomme’s 1970 Wynn’s Winder, known as “The Snake,” which some may remember as a Hot Wheels car. The dragster exhibit also features the Chi-Town Hustler and Hawaiian Funny Cars from Greg Mosley’s Mopar Museum Moline, Ill.
New this year is the Tuner Galleria featuring a collection of the finest European and Japanese modern muscle and sport compacts paired with live entertainment. A lifestyle aspect is also part of this exhibit, featuring fashion shows featuring PMGirls models, karaoke, dance competitions and more. Formerly a show in itself, the popular Chevy VetteFest also is a new addition to the O’Reilly Auto Parts World of Wheels, where the ultimate in original and restored Corvettes and Chevrolets compete for the Gold Spinner and Triple Crown Awards. Guests can also enjoy 30-minute shows from the WheelieShow.com’sStreetbike Freestyle Stunt Team. The high-energy, breathtaking shows are held multiple times each day of the three-day event. Celebrity appearances are always a popular feature at the O’Reilly Auto Parts World of Wheels. The Celebrity Showcase, presented by Super Start Battery, features an all star line up including WWE Women’s Champion Melina Perez (Melina) from 7 p.m.-9 p.m. Friday, March 3. Joining the line up this year is also Chip Foose, legendary auto designer and star of “Overhaulin” on TLC who appears at the show from 1 p.m.-4 p.m. and 7 p.m.-9 p.m. on Saturday, March 6. The kids will be happy to know that Disney actress Brenda Song from “The Suite Life of Zack and Cody” and “Suite Life on Deck” joins the celebrity showcase from noon-5 p.m. on Sunday, March 7. O’Reilly Auto Parts World of Wheels also hopes to combine the worlds of auto and art with the Chicago Brushmasters “Kustom Kulture Automotive Art Auction.” This live charity auction features several hundred professionally decorated pieces from artists around the country, and all proceeds benefit the Ronald McDonald House. The charity auction will have a special display of NHRA driver Ashley Force’s professional race car. 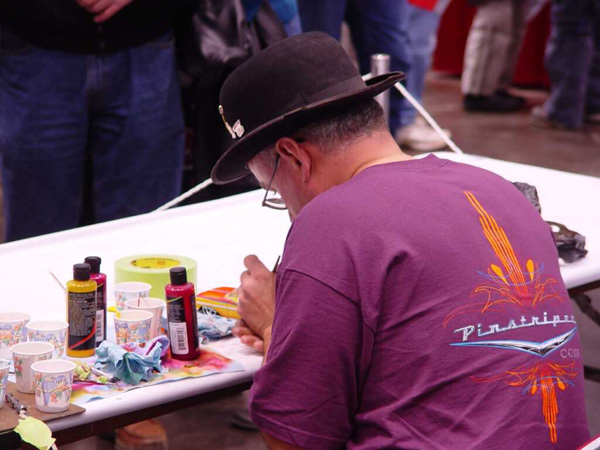 At 6:45 p.m. on Saturday, March 6, the Chicago Brushmasters present legendary sign artist Art Dexter with the “Frank H. Atkinson Lifetime Achievement Award” for his innovation, mentoring and inspiration to the pinstriping community. The 48th Annual O’Reilly Auto Parts World of Wheels, presented by Denny Guest’s South Oak Dodge-Chrysler-Jeep is produced by Championship Auto Shows, Inc. of Auburn Hills, Mich. Part of the International Show Car Association custom car competition, the show takes place March 5-7, 2010 at Donald E. Stephens Convention Center (5555 N. River Road, Rosemont, Ill.). The event hours are Friday, 3 p.m. to 10:30 p.m., Saturday, 10 a.m. to 10:30 p.m. and Sunday, 10 a.m. to 7 p.m. Discount pre-sale tickets can be purchased at O’Reilly Auto Parts. For more information, visit www.worldofwheels.com or www.worldofwheels.wordpress.com. Tweeting updates can be found at @WorldofWheelsIL.